Michele Scheinkman, LCSW, is a faculty member at The Ackerman Institute for the Family specializing in couple’s therapy training and has a private practice in Manhattan. Former Director of Training at the Chicago Center for Family Health and Lecturer at the University of Chicago, she was a consultant at the multicultural Roberto Clemente Center in New York City for many years. 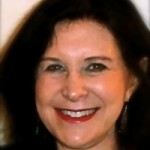 Her articles, widely valued in couples therapy training and practice, include: The Vulnerability Cycle: Working With Impasses In Couples Therapy; with Mona Fishbane (2004)Beyond the Trauma of Betrayal: Reconsidering Affairs in Couples Therapy (2005 ); The Multi-level Approach: A Road Map to Couples Therapy (2008); Disarming Jealousy in Couples Therapy: A Multidimensional Approach (2010). Her workshops in the United States, Europe, and Latin America are highly regarded for her integrative approach, conceptual clarity, and practical application with a range of couples issues in therapy.